We benefitted from the mini-pump the markets have seen over the past 48 hours and Binance Coin gave us some positive news and… * GASP * A green week! If we do the math, holding 7 coins at $13.20 we’re sitting at $92.40 from our original $100 in fiat investment. 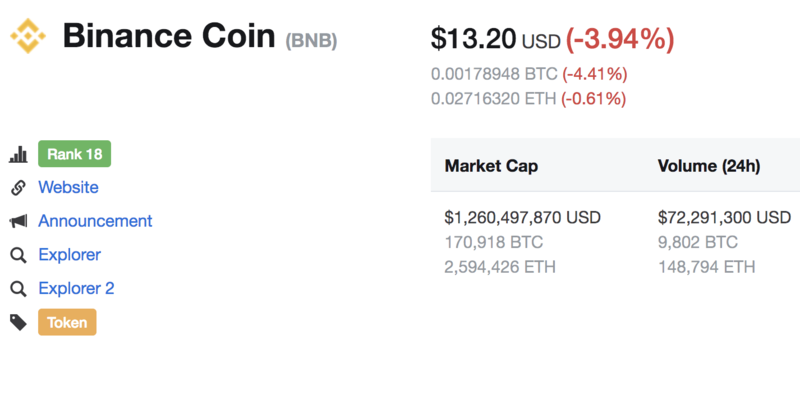 Binance did it’s quarterly ‘burn’ this week too, so that helped with the price. It’s another reason I’m a big fan of BNB…If you read their white paper (yes I actually read white papers lol) they plan on ‘burning’ or repurchasing their own coin every quarter with the profits they earn. After they purchase them they effectively burn them and it decreases the circulation amount while raising the value of the coins. Brilliant wait to reward coin holders and keep their circulation down and the coin in demand. Just another awesome example of a coin / project that isn’t some crazy concept or project waiting to take shape…This is real world use cases and something very important in crypto these days. Where will Binance Coin end up at the end of July? And that’s an exciting thought to have a long time holder of this coin! Catch me live in Toronto this September for the Steem Creators Conference & SMT Summit! Interesting concept to “burn” coins… obviously that will help the HODLers but might it not price newbies out of the market? Are You A Blue Chip Stock?